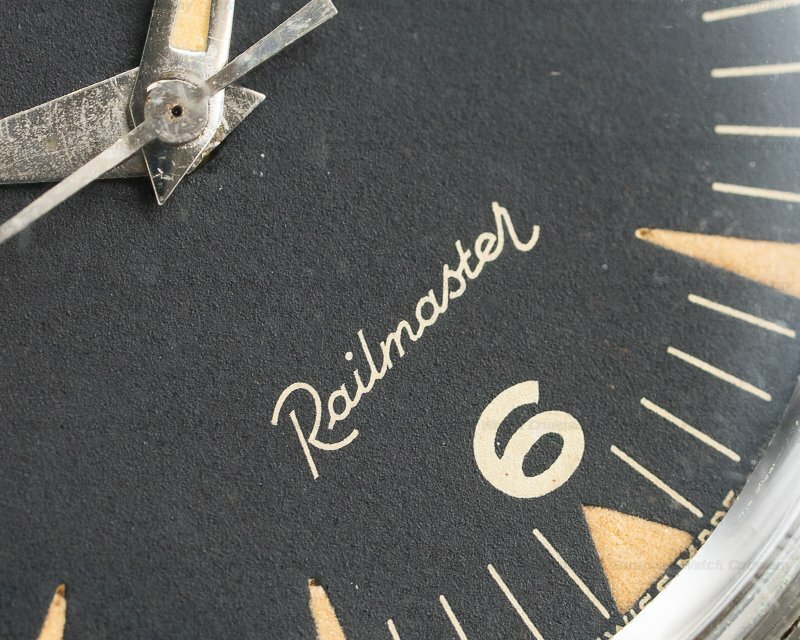 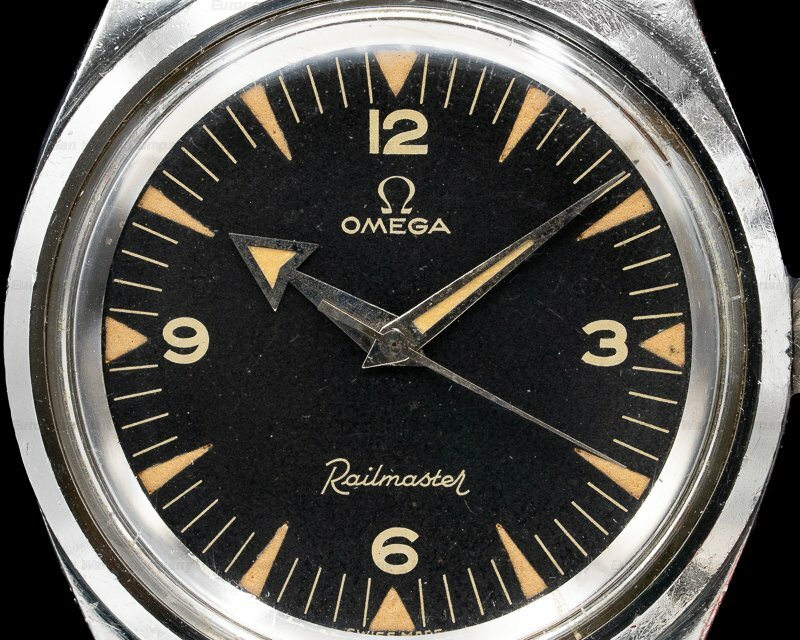 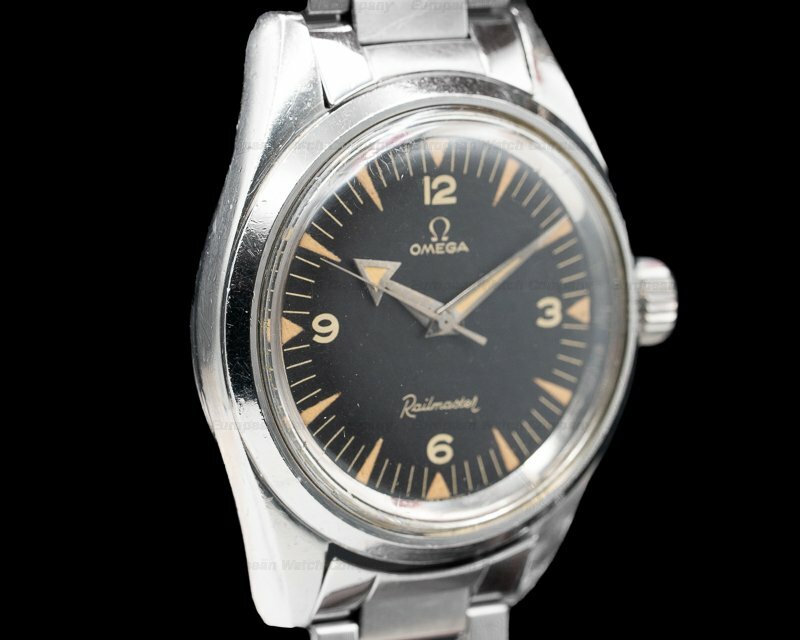 This is a very rare vintage 1958 stainless steel Omega Railmaster 2914 - 4 SC. 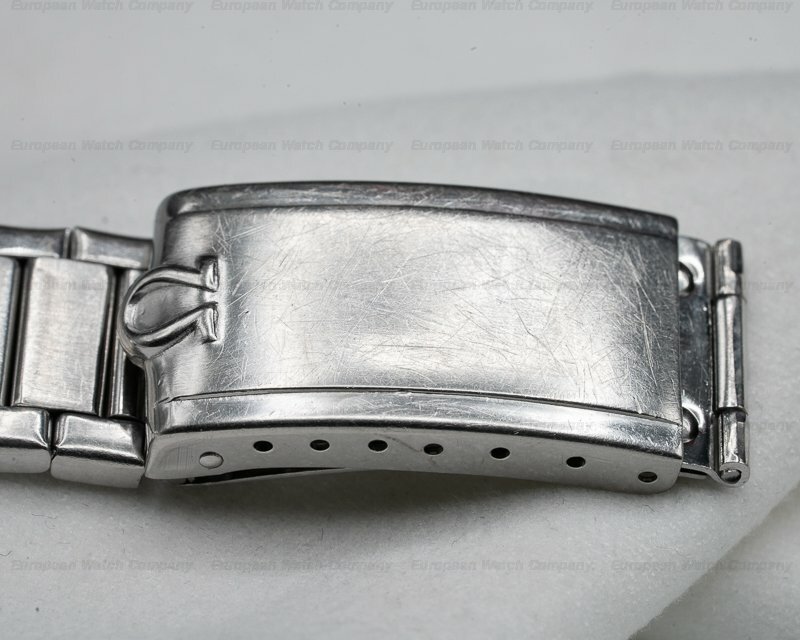 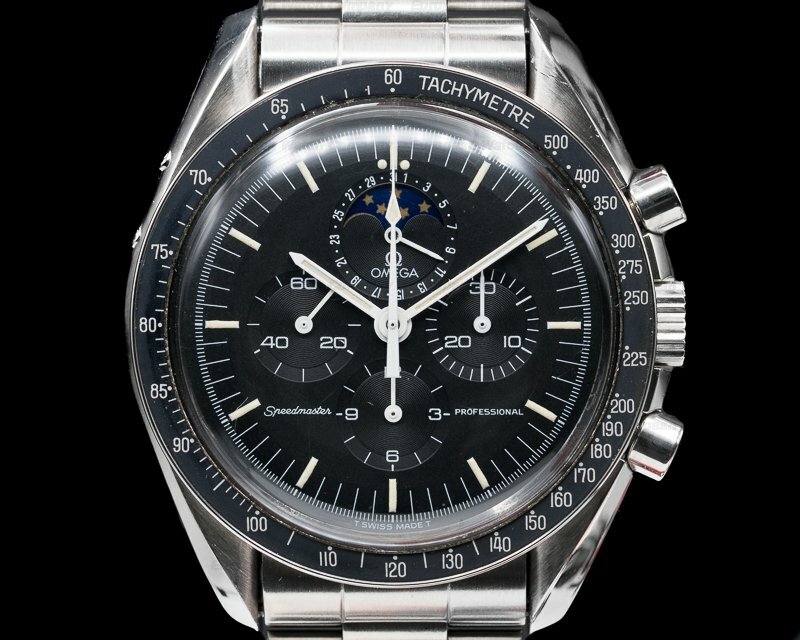 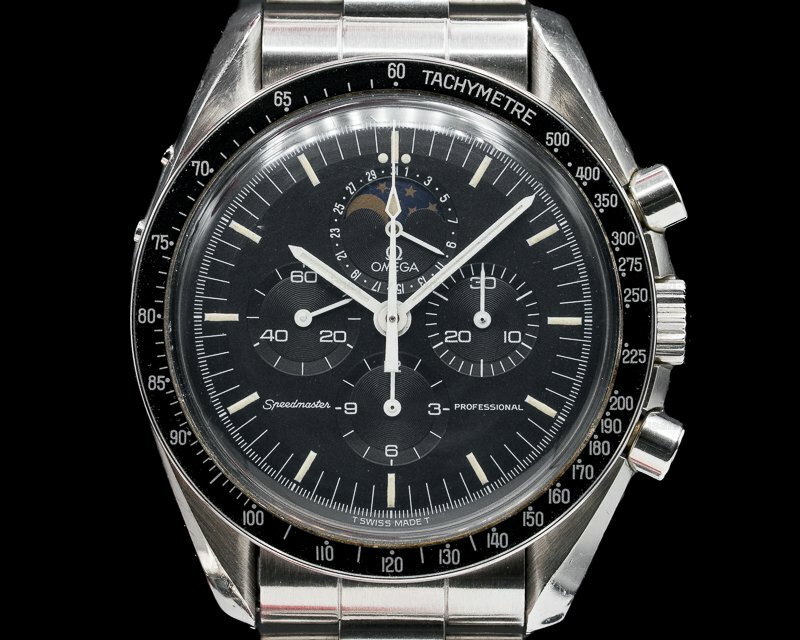 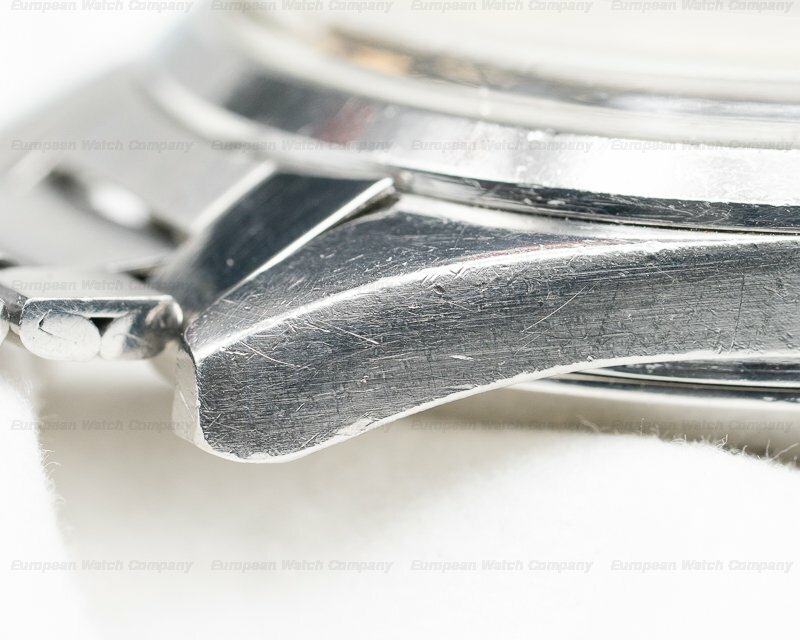 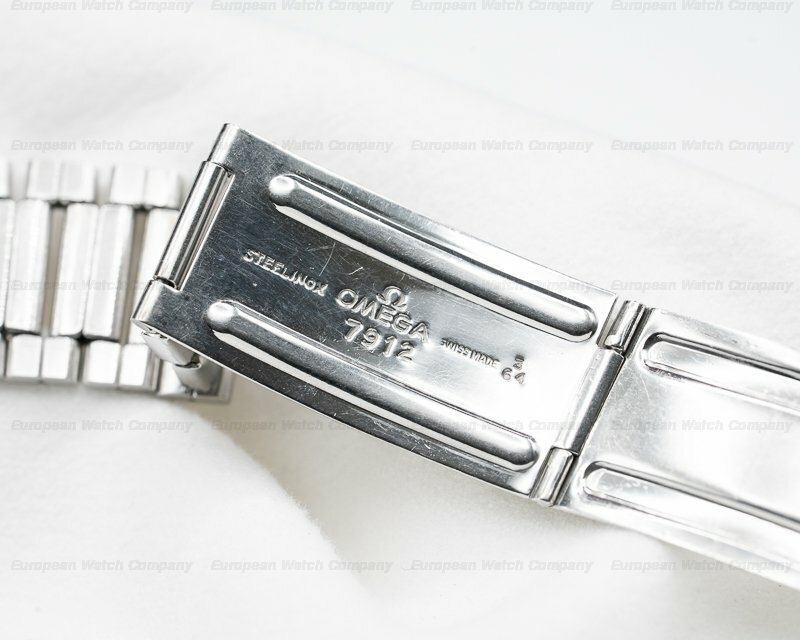 It has an integral stainless steel Omega 7912 bracelet with 6 end links (rare), and an acrylic crystal. 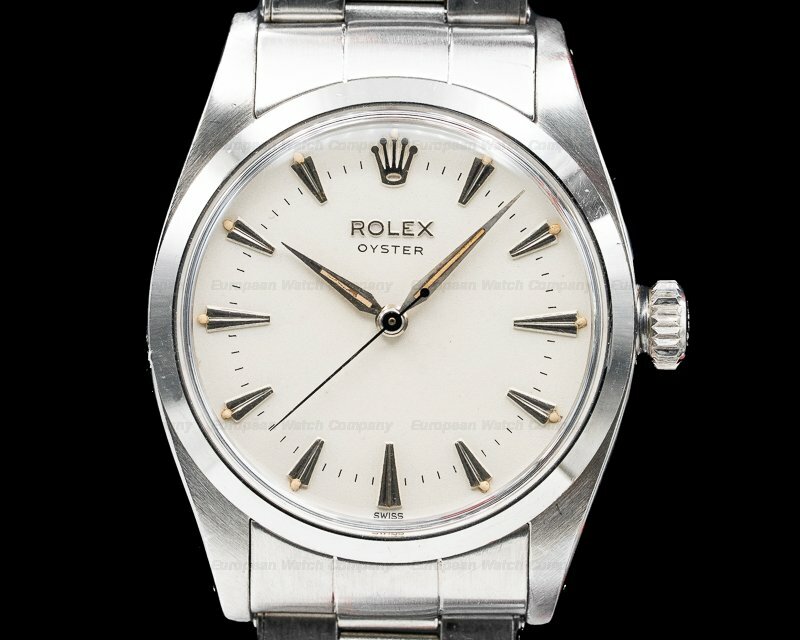 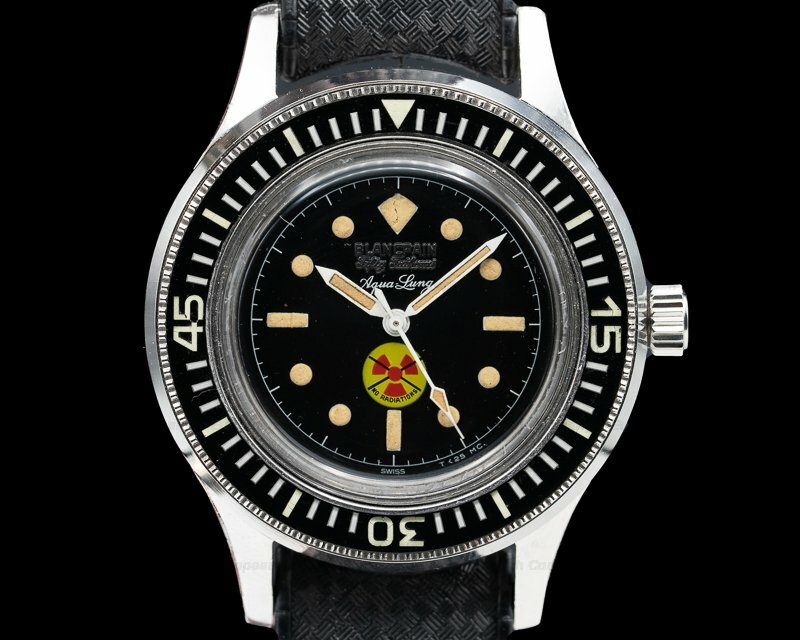 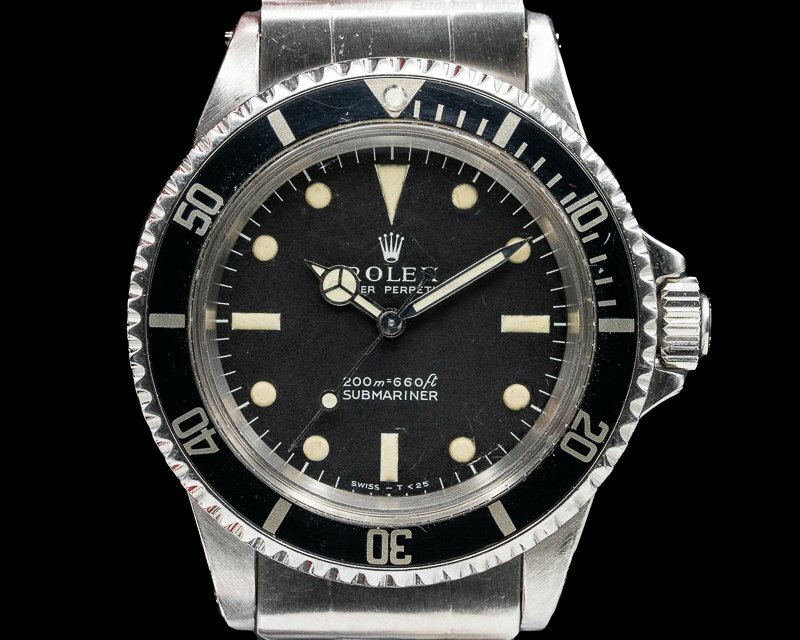 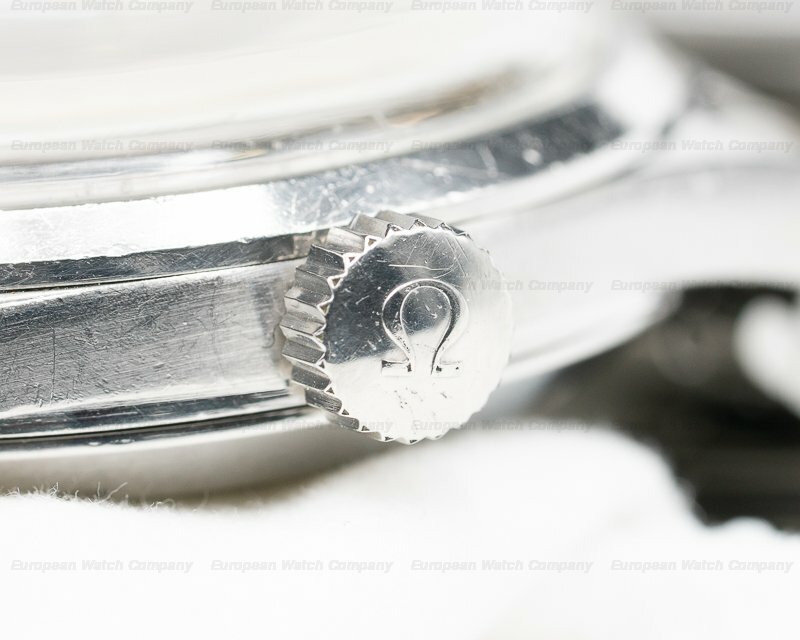 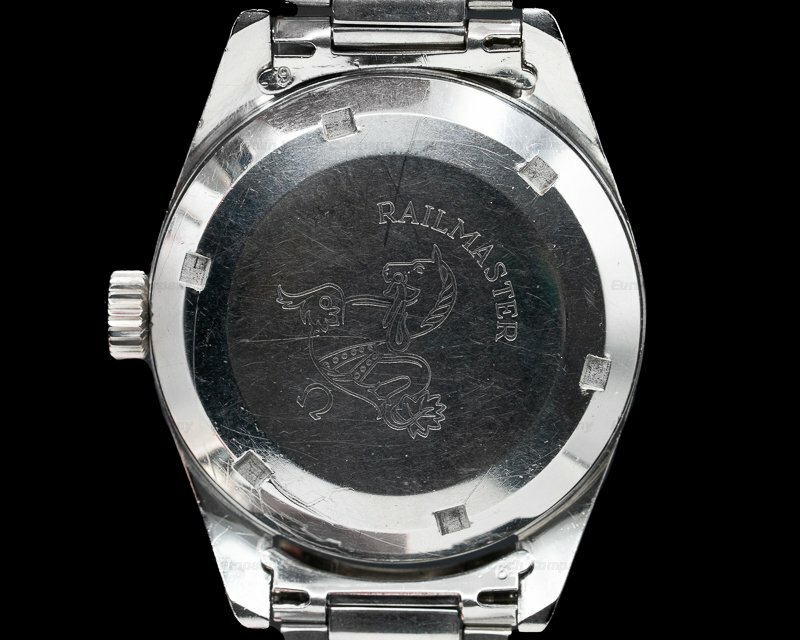 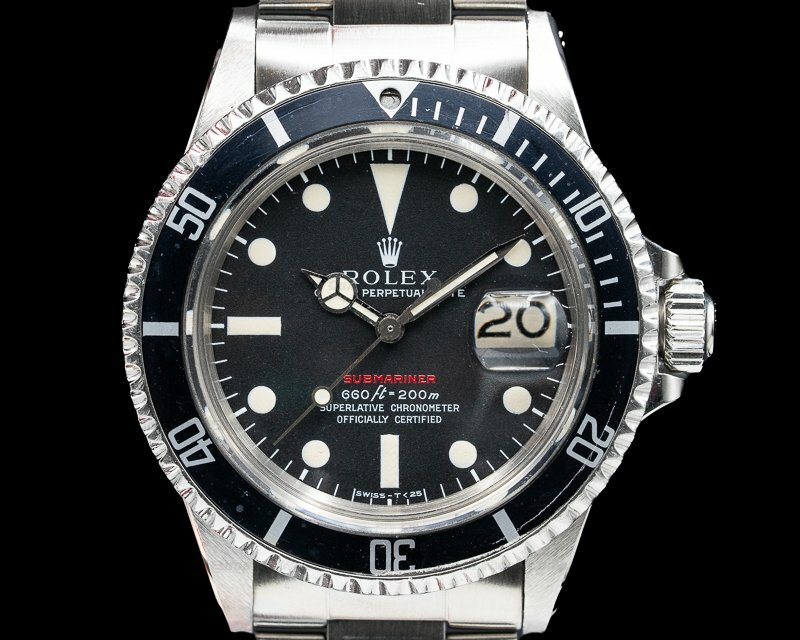 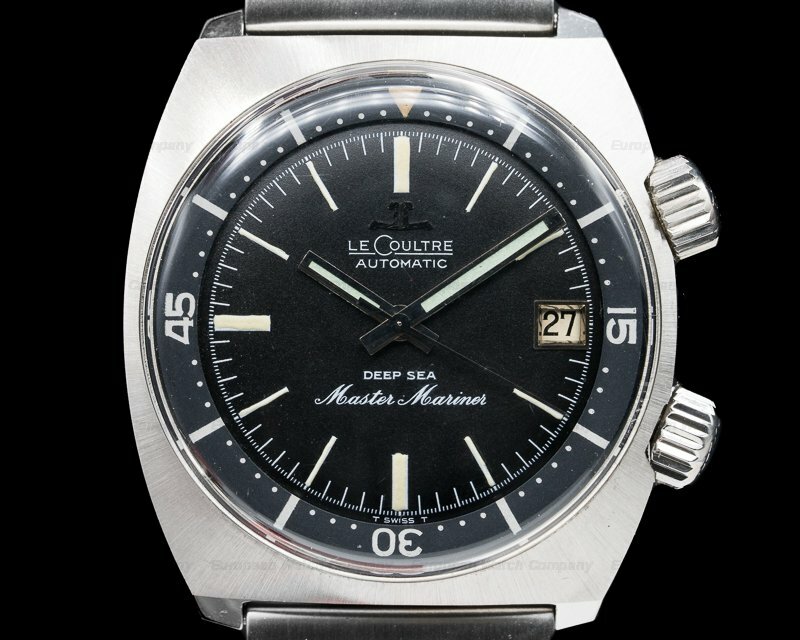 It has the original "flat foot" winding crown, and a screw down case back engraved with "RAILMASTER," the Seamaster horse emblem, and inside is the original soft metal non ferrous movement cover for anti magnetic protection. 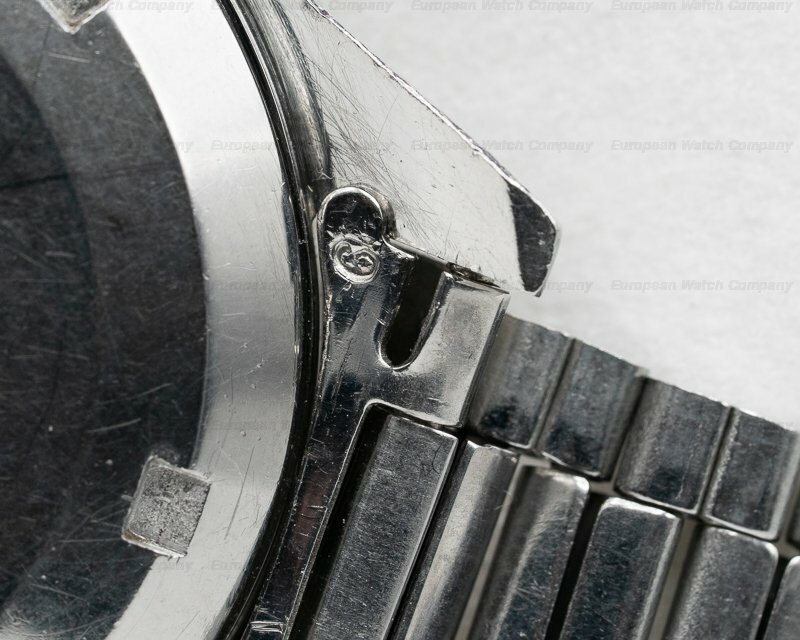 The 38mm diameter solid three-body case, curved lugs, and stepped bezel are polished/brushed. 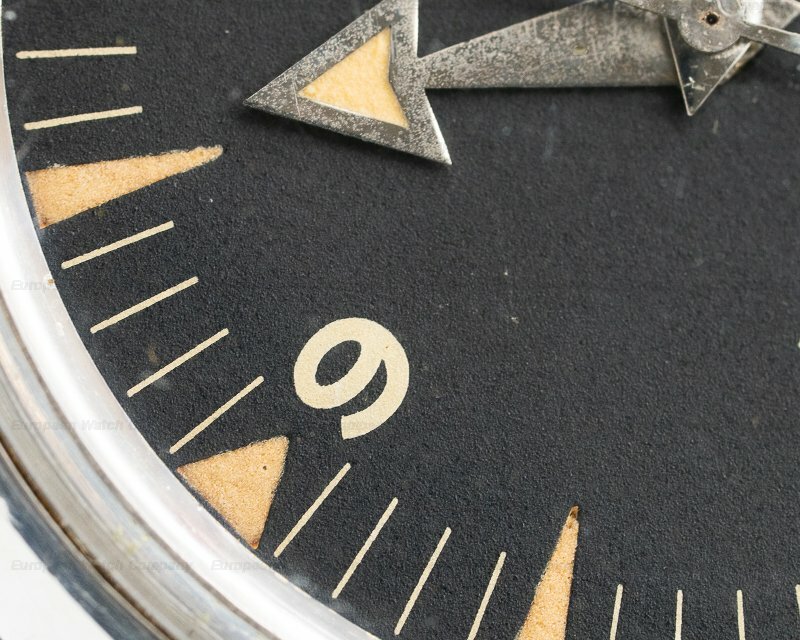 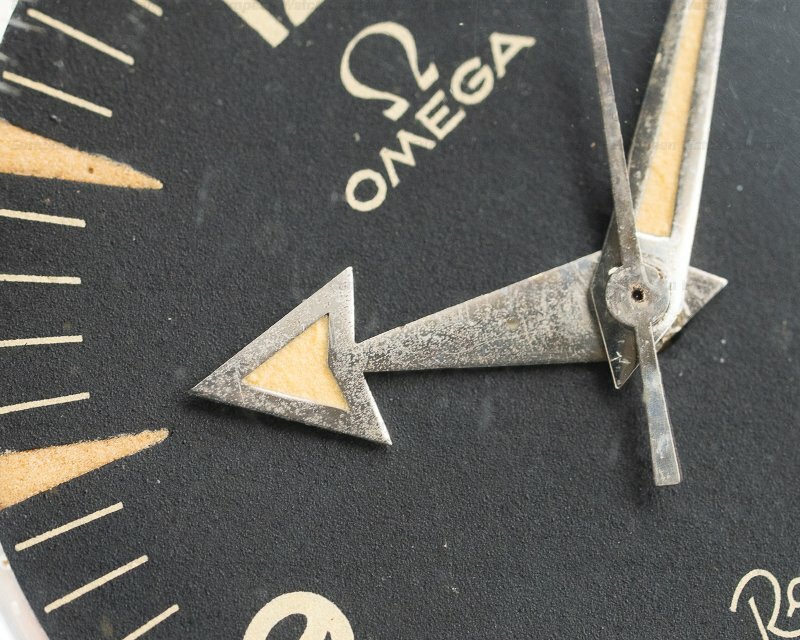 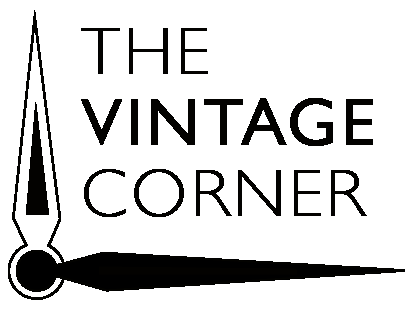 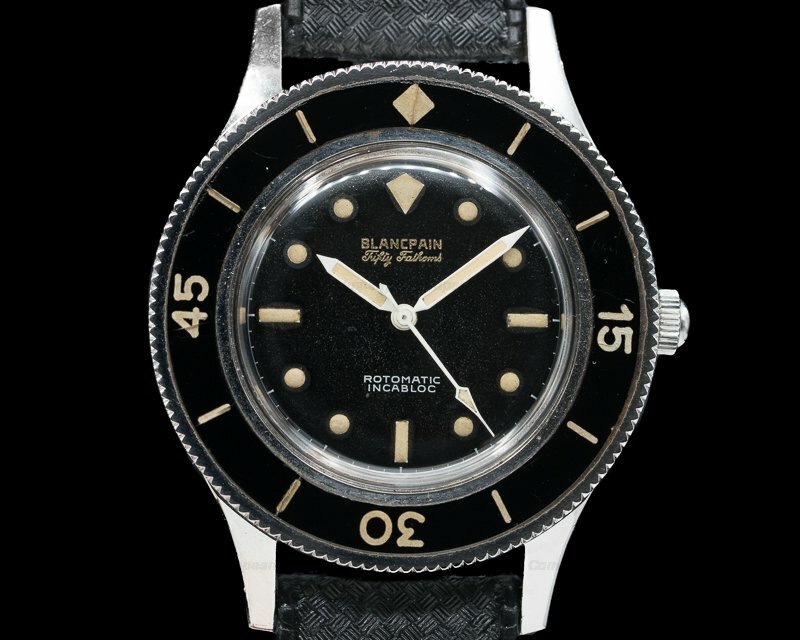 The original black dial has the gilt minute/second scale, radium ochre-colored dart hour indices, a steel broad arrow hour hand and a Dauphine minute hand with luminous inserts. 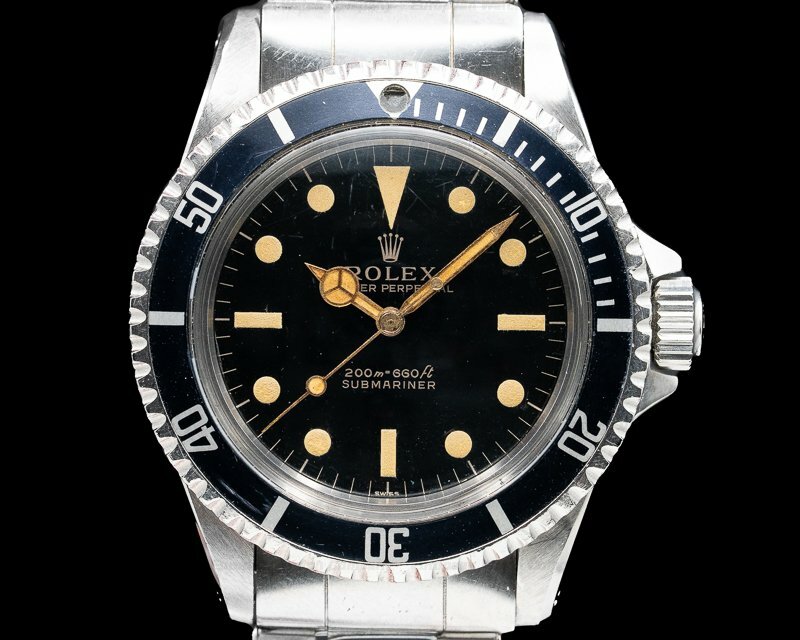 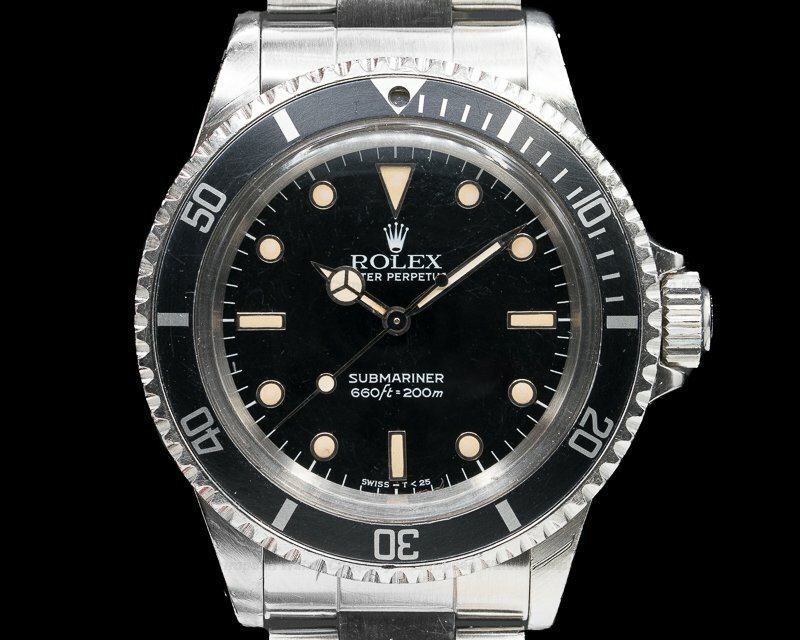 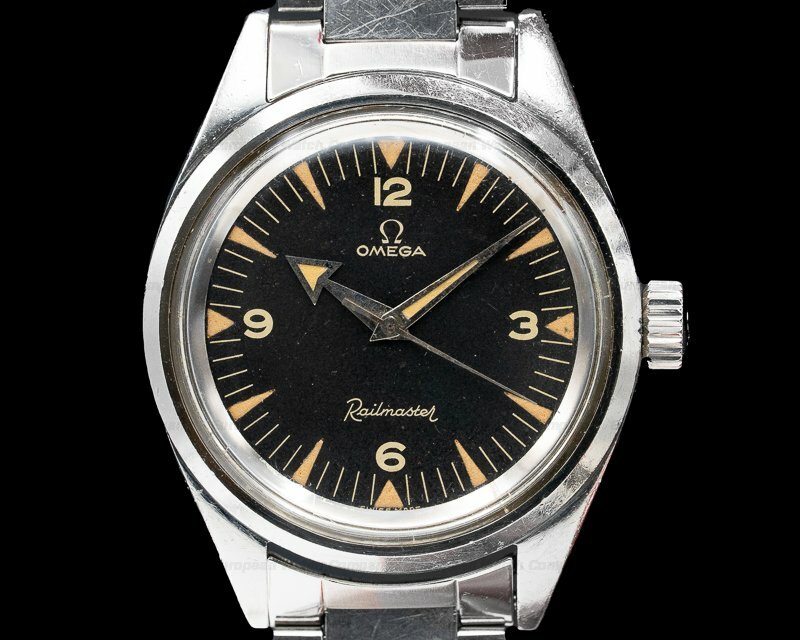 There is a steel center sweep second hand, and luminous Arabic numeral hour markers at the quarter hours. 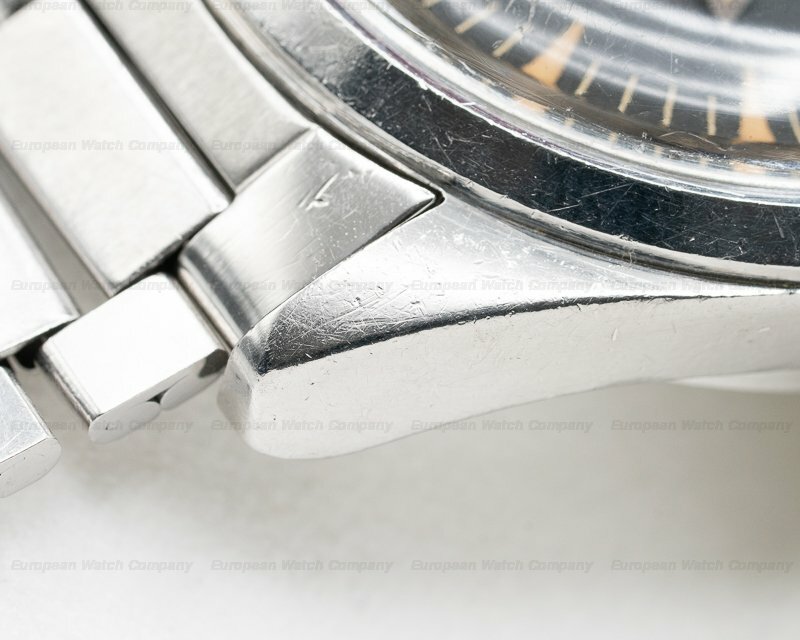 The 12.7mm thick case, dial, and movement are all signed. 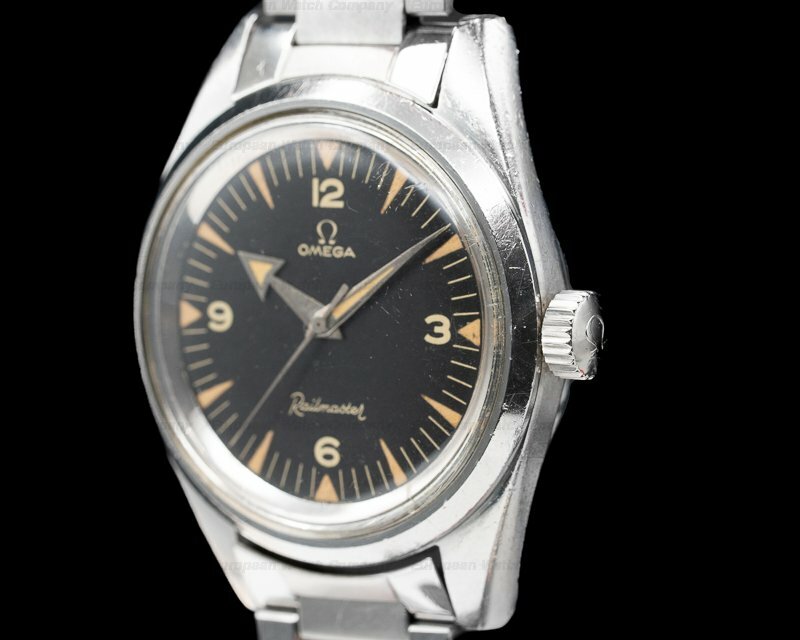 This first series Omega Railmaster 2914 - 4 SC has a mechanical manual winding Omega caliber 284 movement. 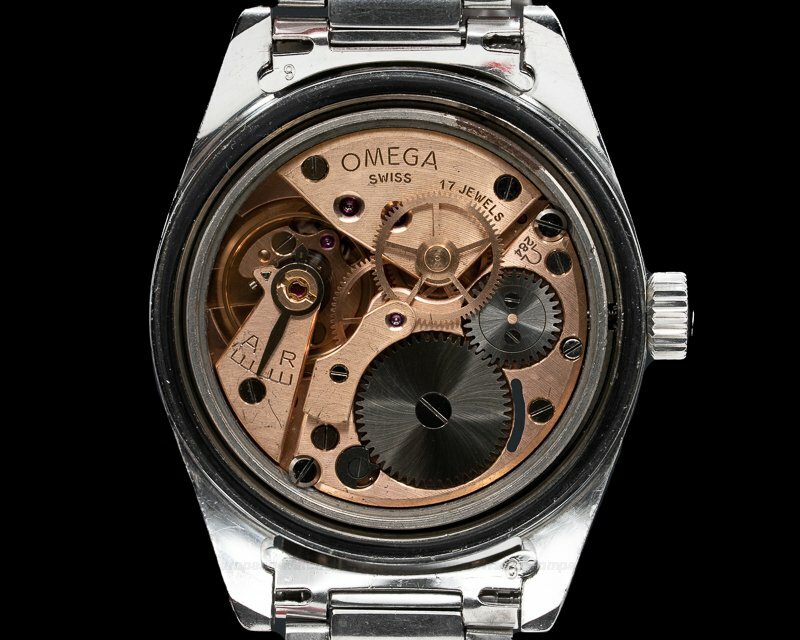 It's copper-colored, and constructed with 17 jewels, a shock absorber device, and a straight-line lever escapement. 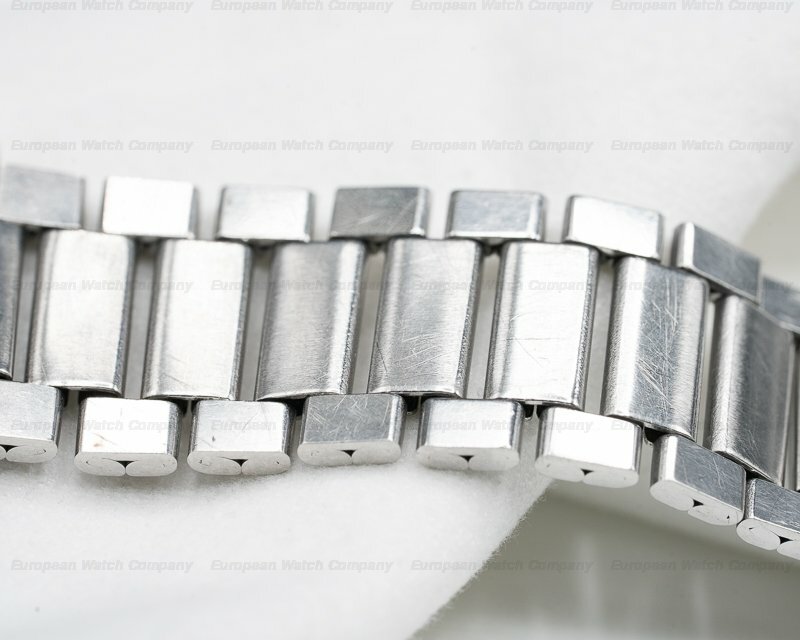 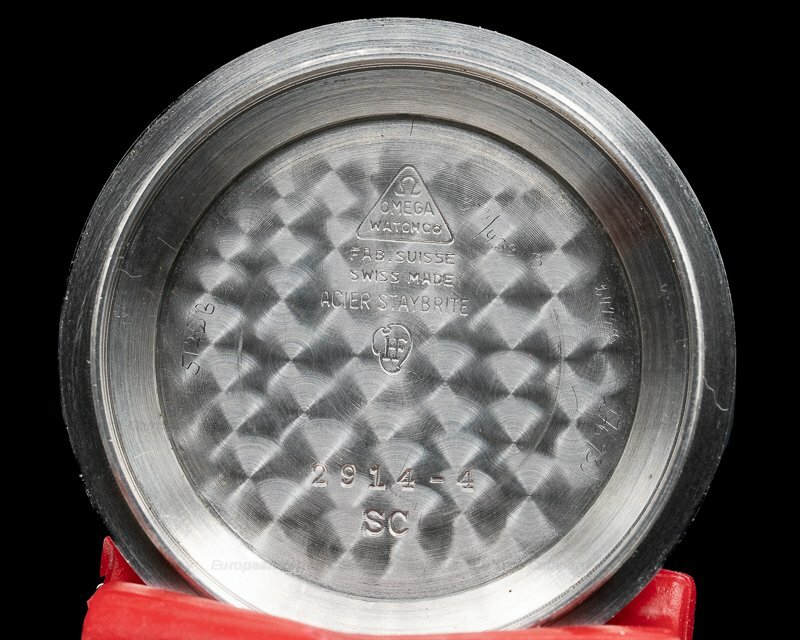 It includes a monometallic balance, a self-compensating flat balance spring, and an index regulator.